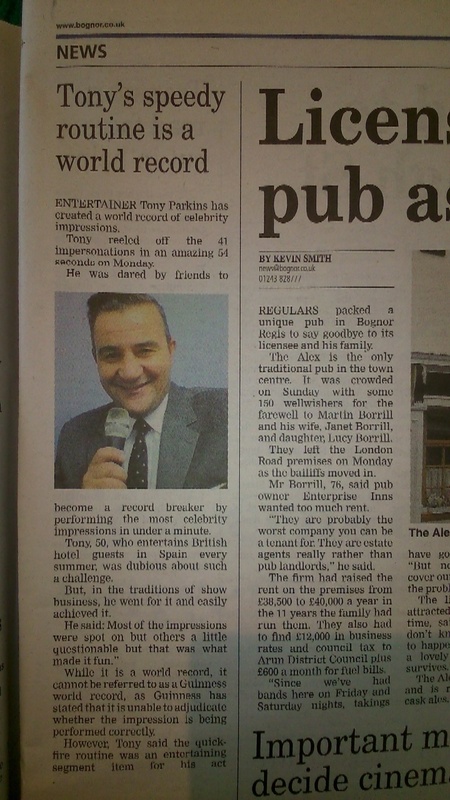 Bognor Regis Observer November, 12th 2015. 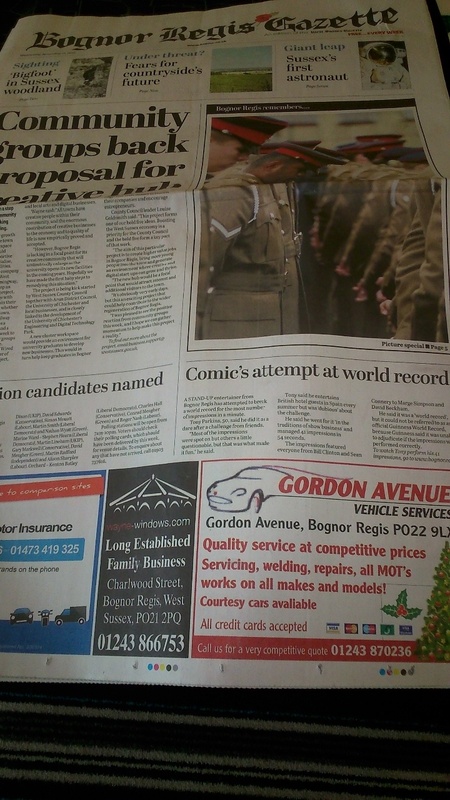 Celebrity Impressions World Record- Bognor Regis Gazette, Front Page! November 12th, 2015. 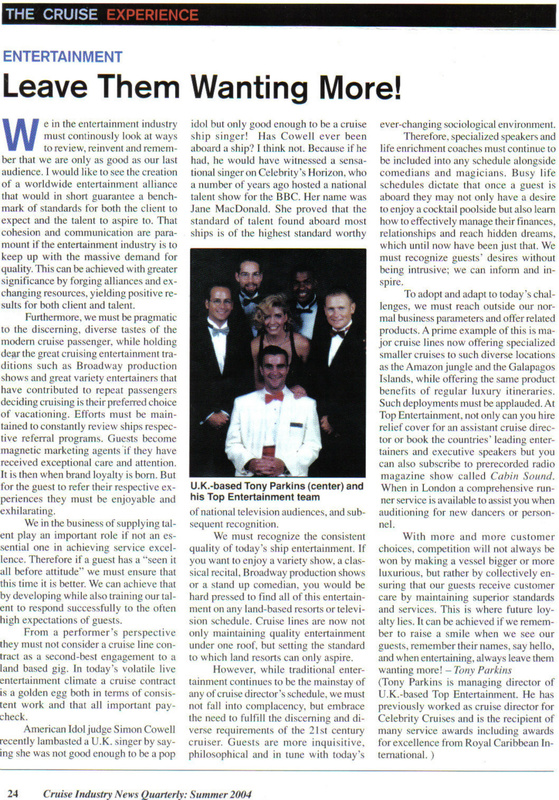 The Guardian Observer - From Fun Fairs to Cruises. 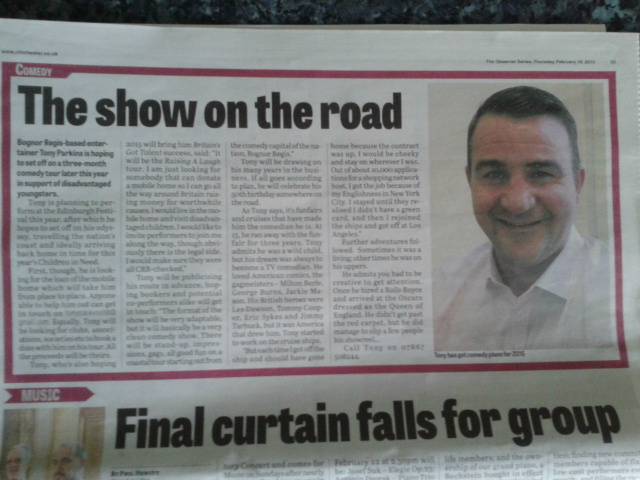 At 15, Tony Parkins ran away with the funfair for three years. Working the stalls made him fearless. 'Ooh, I say. You've got your bingo top on, madam. Eyes down. Full house.' And they'd laugh and come and have a go with the hoops. People from good stock don't become comedians. He didn't. His mother was a child of the Sixties; she had him when she was 19 and was kicked out of her home for it. She raised him alone. In turn, he was wild too. At 19 he was selling timeshares in Spain, then working as a presenter on an expat radio station. But he dreamt of becoming a TV comedian. He loved American comics, the gag meisters - Milton Berle, George Burns, Jackie Mason. There were British comedians he loved too - Les Dawson, Tommy Cooper, Eric Sykes, Jimmy Tarbuck - but it was America that drew him. Sometimes it was a living; other times he was on his uppers. He has to admit there were no major successes. Once he hired a Rolls Royce and arrived at the Oscars dressed as the queen of England. He didn't get past the red carpet, but he did manage to slip a few people his showreel. He got a little notice in The Hollywood Reporter for that, but no more. He didn't get the big TV show. The nearest was a job on a shopping channel in New York. Three thousand applied for that job, he says proudly, but they gave it to Tony Parkins. Maybe he would have got somewhere, but a trip to Mexico ended it. Returning, immigration told him his seaman's visa had expired. He found himself in Rosarito with a car and the money in his pocket. Unable to return to Los Angeles, he stayed on in Mexico for a year and a half, doing bits of stand up and working as a rigger on the movies being shot in Mexico's Fox studios. One Sunday, broke, he went into the church and prayed. As God is his witness, next time he went to the cash machine, there was $10,000 in his People's Bank of California account. It was a mistake, of course, but what do you do? The bank didn't find out until he'd spent $10,000 making another showreel in a TV studio in Tijuana, this time of a game show he called Tony Parkins's Body Language. That never made it. 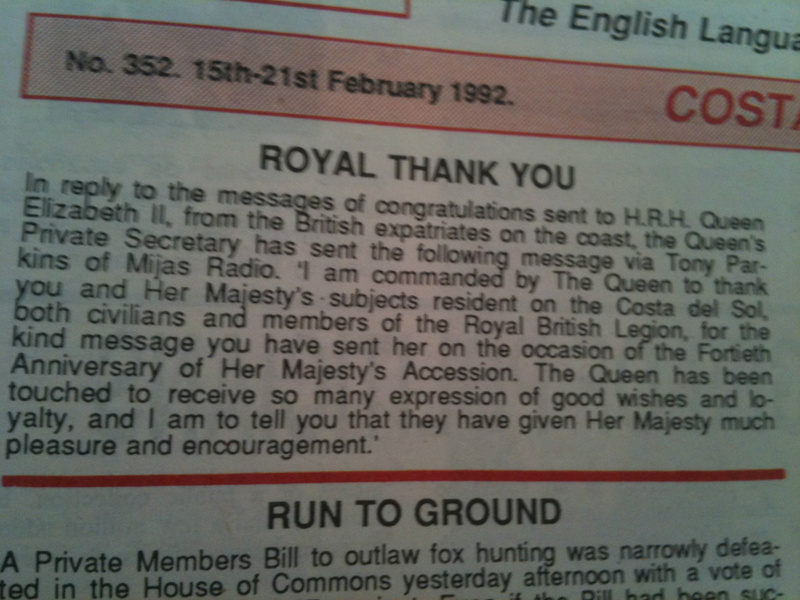 To be honest, he probably didn't send it out enough. It's a lovely feeling when they laugh. Because he's involving them. Like at the fairground. Come on. Have a go. You've nothing to lose. That's why you're here, isn't it? It's what he teaches them at what he calls the stand-up master classes he sometimes runs. But he's 40 now. It's time to move to another level. He's still dreaming of that TV show. He says Des and Mel almost booked him before they went off air to have babies. The best, he insists, is yet to come. · Superhero for Hire: True Stories from the Small Ads by William Shaw is published by Observer Books. 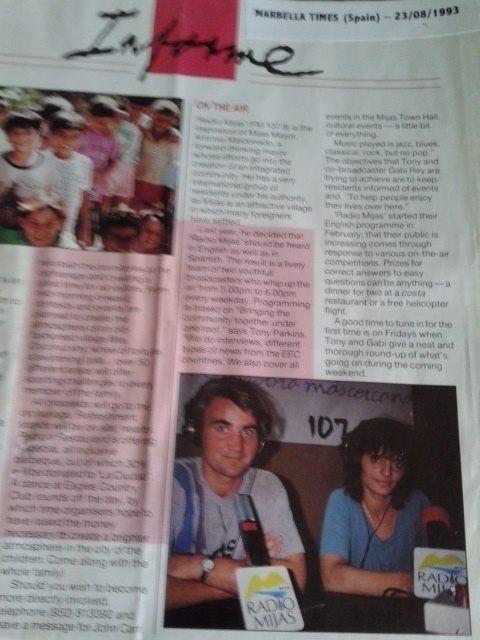 Radio Mijas Early Days - Marbella Times.